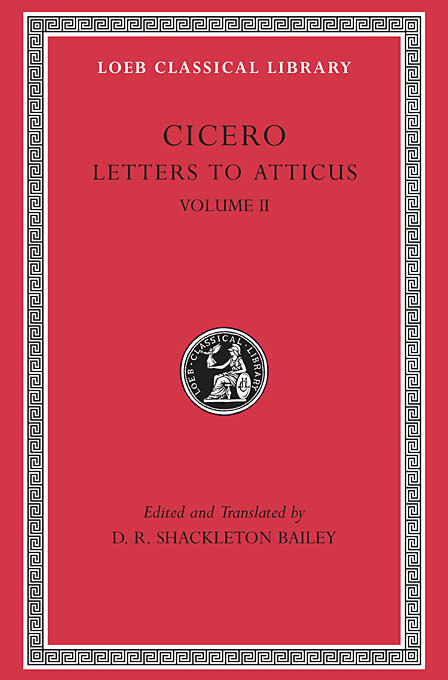 In letters to his dear friend Atticus, Cicero reveals himself as to no other of his correspondents except, perhaps, his brother. These letters, in this four-volume series, also provide a vivid picture of a momentous period in Roman history—years marked by the rise of Julius Caesar and the downfall of the Republic. When the correspondence begins in November 68 BCE, the 38-year-old Cicero is a notable figure in Rome: a brilliant lawyer and orator, who has achieved primacy at the Roman bar and a political career that would culminate in the Consulship in 63. Over the next twenty-four years—to November 44, a year before he was put to death by the forces of Octavian and Mark Antony—Cicero wrote frequently to his friend and confidant, sharing news and discussing affairs of business and state. 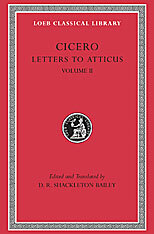 It is to this corpus of over 400 letters that we owe most of our information about Cicero’s literary activity. And taken as a whole, the letters provide a first-hand account of social and political life in Rome.